Lou Florez (Awo Ifadunsin Sangobiyi) is an internationally known Spirit worker, medicine maker, priest, activist, and artist who has studied with indigenous communities and elders throughout the globe. Lou grounds his teachings and practice in the idea that connectedness to ourselves and our physical, emotional, spiritual, and environmental landscapes is a fundamental necessity for any long lasting change to occur. He holds that through creating these living, dynamic relationships we become conscious of the inherent power available to us in every second of our lives. 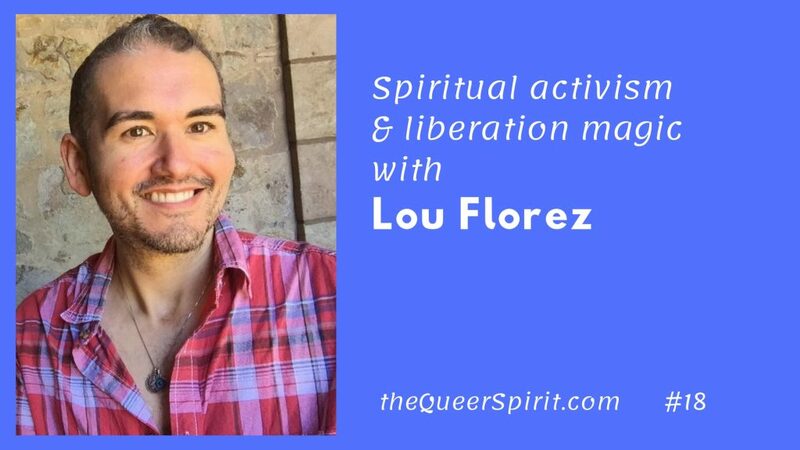 Lou discusses how he became a spirit worker based in folk traditions of magics from the American south that comes out of connections to the Earth and the land, and rooted in communities fighting against oppression and colonization. He tells the story of growing up on a farm and being introduced to different folk spiritual practices in a church bingo parlor. His activism supports diversity among multicultural pagan and spiritual communities, particularly around issues of safety, accessibility and justice. Intentionally inviting Queer people of color to the table or altar for their particular prayers and spiritual needs. His three year Audre Lorde spiritual practice, and how it helped him heal his connection with his body as a queer brown man.